Welcome to Kansas City's largest indoor rock wall! Monster Mountain's 5,000 square feet of vertical and horizontal climbing will show you an experience of a lifetime. 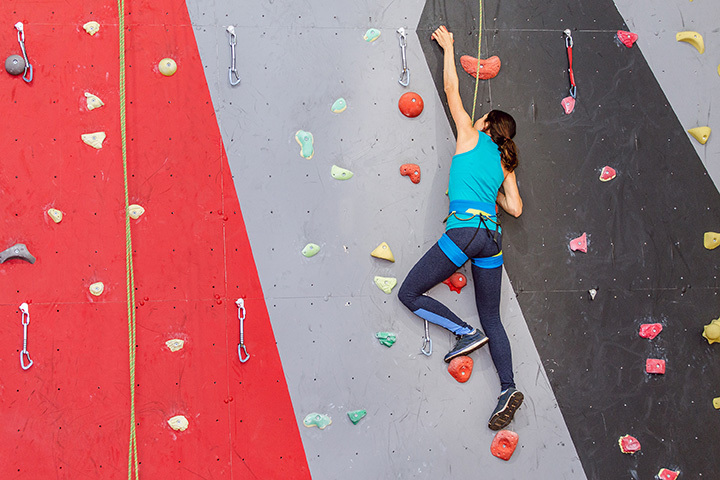 Our wall is great for the beginner looking for a new thrill, or the experienced climber looking for the ultimate challenge. Monster Mountain has 16 different top rope areas, plenty of bouldering space, 2 caves, cracks, laybacks, Nicrotexâ„¢ wall texture, and a newly built 45º bouldering area!